Extreame Savings Item! Free Shipping Included! 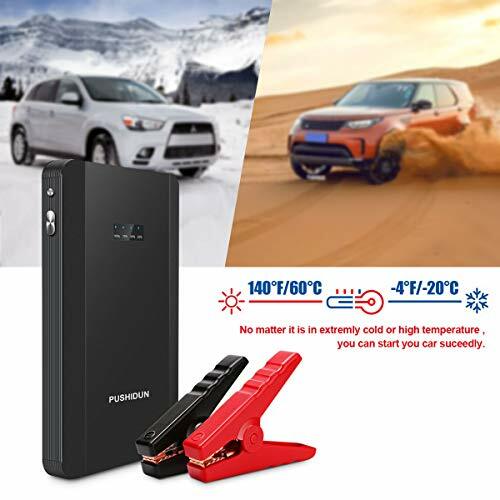 Save 45% on the Car Jump Starter 400A Peak 6000mAh 12V Auto Battery Jumper Booster (up to 2.5 Gas) PUSHIDUN Portable Power Pack with Metal Shell for Cars Motorcycles FCC CE UL Certified by PUSHIDUN at Lazaranda Dallas. MPN: K23S. Hurry! Limited time offer. Offer valid only while supplies last. 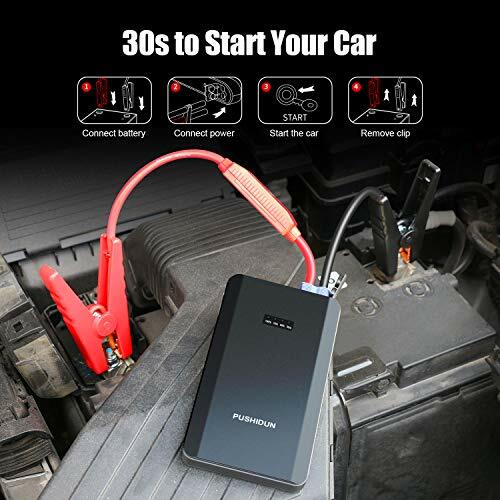 ◆ ◆This jump starter does not include the home charger & car charger, please use the USB cable to charge the jump starter. :/Don't connect the positive and negative polarity together when it's power on. :/Do not crank the engine more than 3 times continuously. Please allow the jump starter to cool down for at least 30 seconds after each jump-start. :/Do not use jump starter to start the vehicle if the number of indicator lights is less than 3 to protect the jump starter from damage. 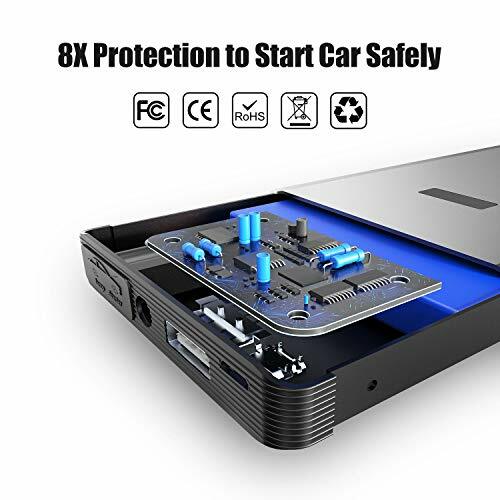 :/Don't start an engine that exceeds the maximum displacement the jump starter can bear, or it will cause serious damage to the jump starter. As a jump box, it has abundant functions. 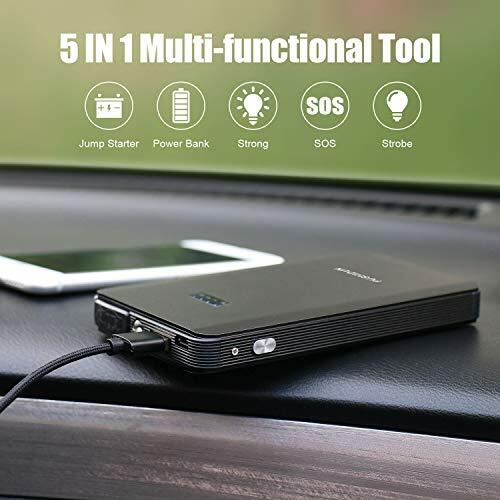 Not only to jump-start a car but also to charge any 5V USB mobile devices such as smartphone, iPhone, iPad, tablets, camera, etc.. This small battery jump starter can be used as emergency LED lights at night. Compact design, small as a iPhone 6. 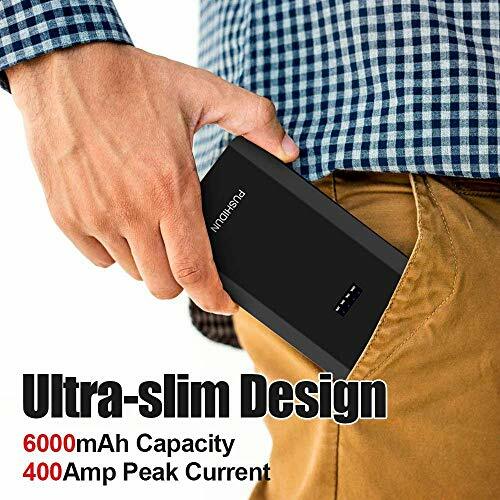 Powerful 6000mAh, 400A peak, start up to 2.5L gas engine. 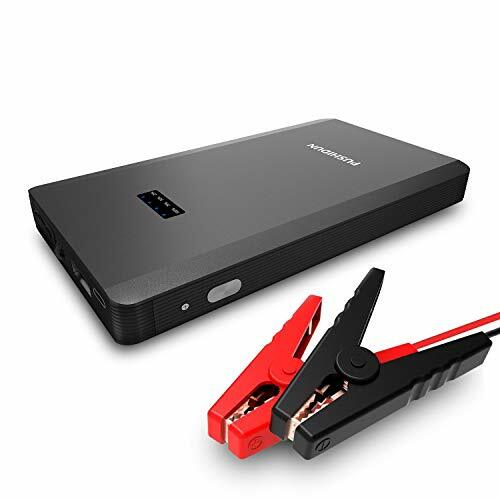 This compact jump starter adopts an intelligent protection circuit which will effectively prevents short circuit / over current / over discharge / over charge. 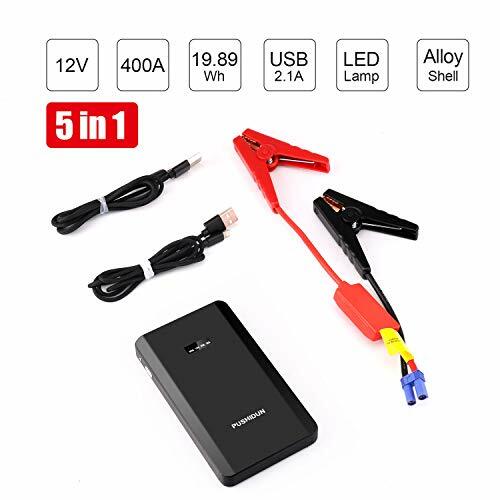 An absolutely safe battery charger booster pack designed for you only!